They were built to be the perfect wives. 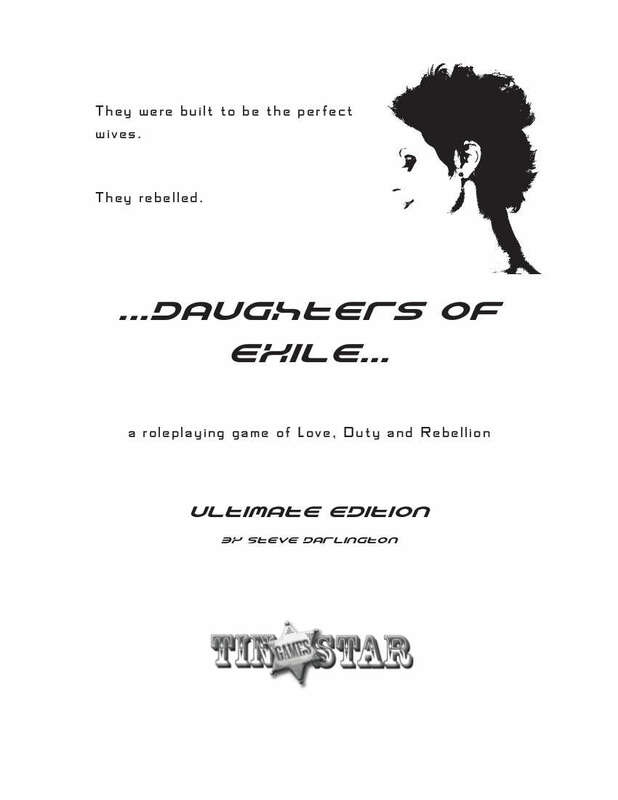 Daughters of Exile is a roleplaying game for 1 or more players and 1 GM. Players take the role of synthetic women, programmed to be the perfect, dutiful wives of well-paying husbands. Daughters that go rogue are hunted down and killed. To flee from ones duty means a life without safety, without shelter - and without love. An intimate storytelling opportunity about sexism and the price of rebellion, Daughters was runner-up in the Game Chef competition of 2011. This version is the Ultimate Edition, which is five times the size of that original entry, including more on the setting and extensive GM notes.